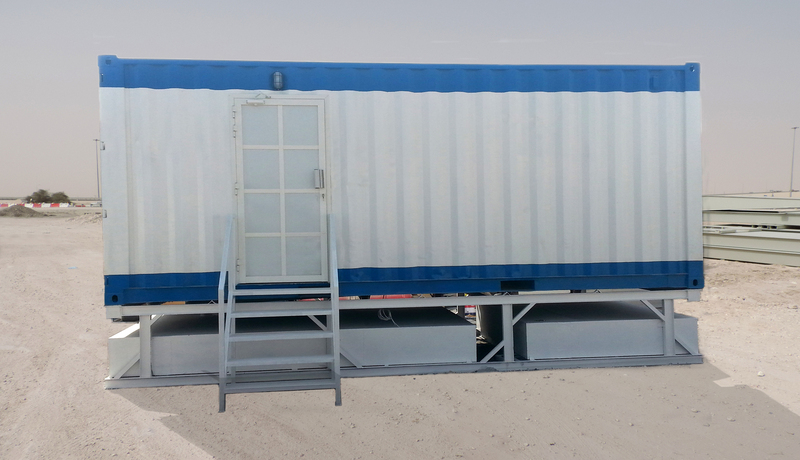 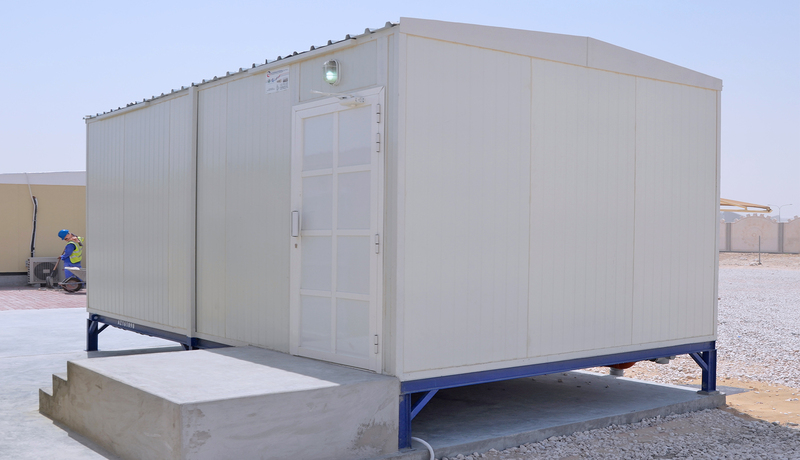 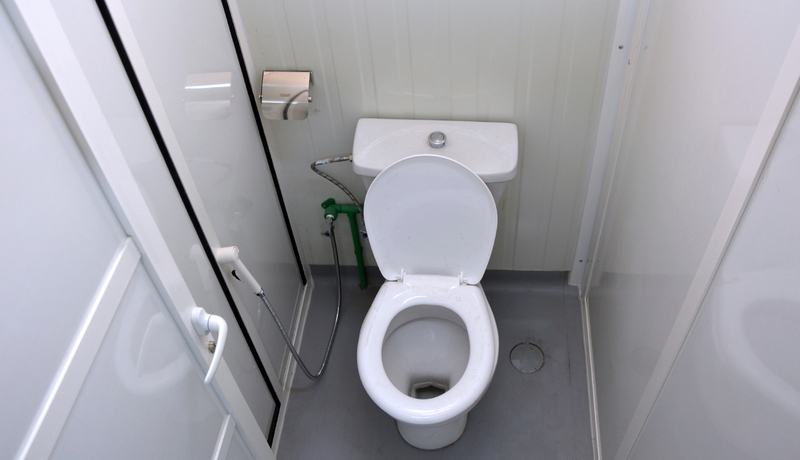 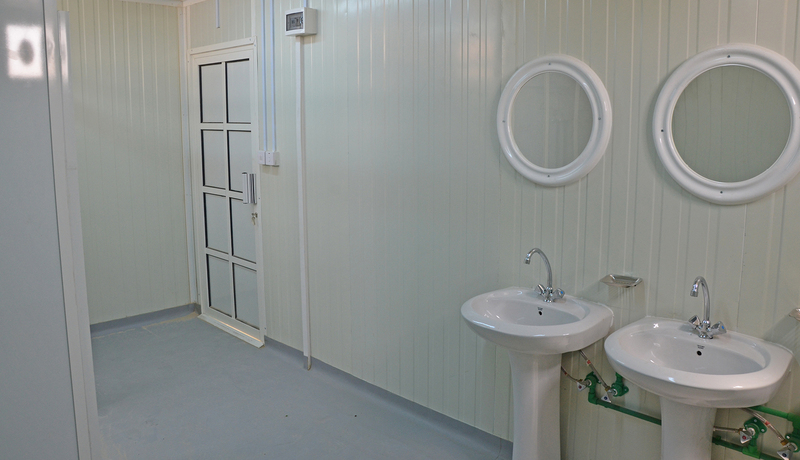 Our ablution and sanitation units are built to facilitate various quantities of people. 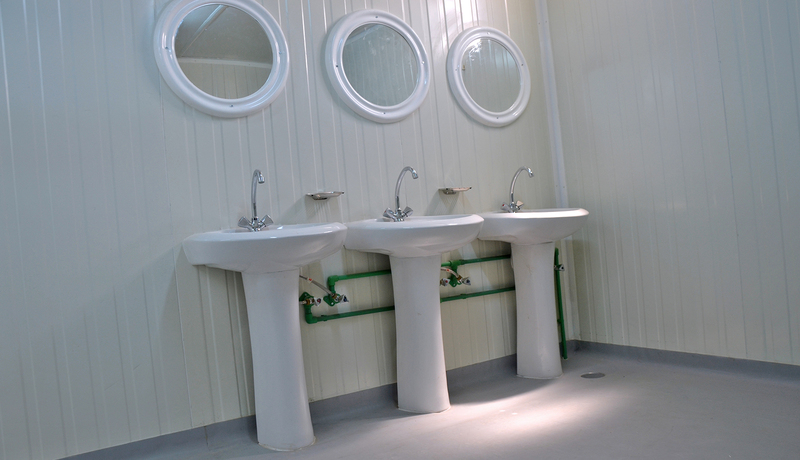 They are hard wearing and durable in all aspects of build quality to insure minimal maintenance. 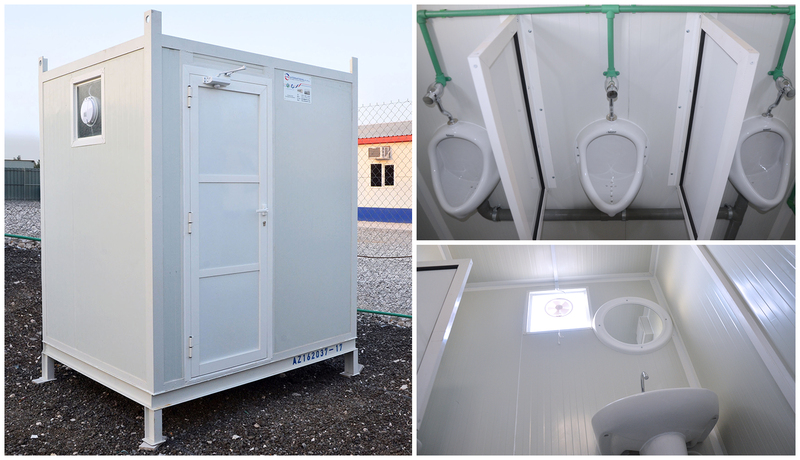 Ablution units can be specially built to separate both men and women as well as built to house only toilets (WC) or showering cubicles. 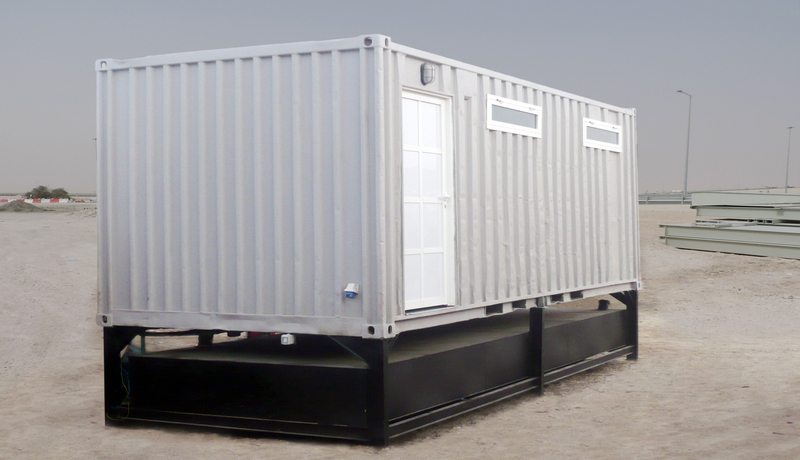 As with all our units, they are built with quality, endurance and can be customized to cater for any particular environments or locations. 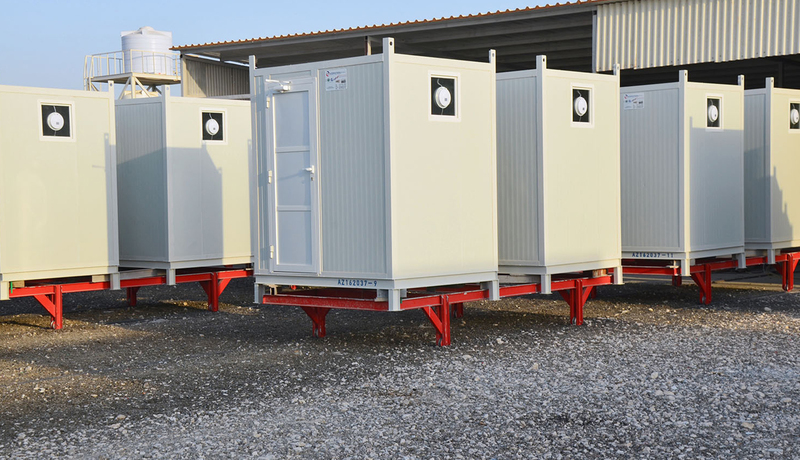 They can be designed to house only toilets or only shower units, whichever is move preferential to our clients for their practical needs. 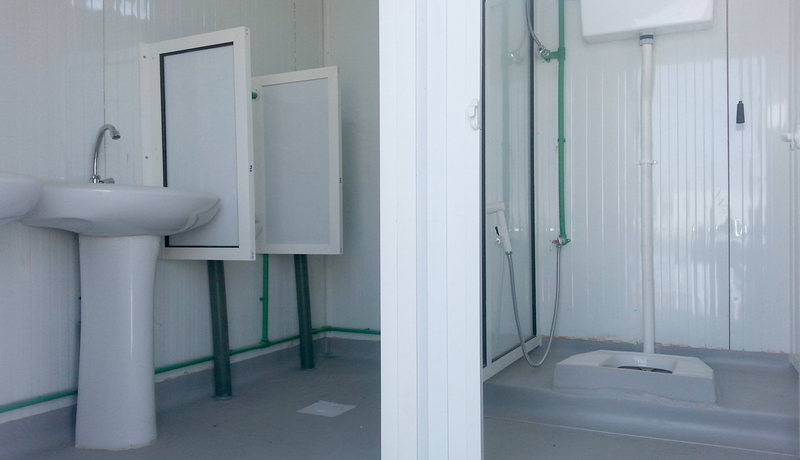 Our ablution units have a septic tank incorporated in the build and concealed within the design. 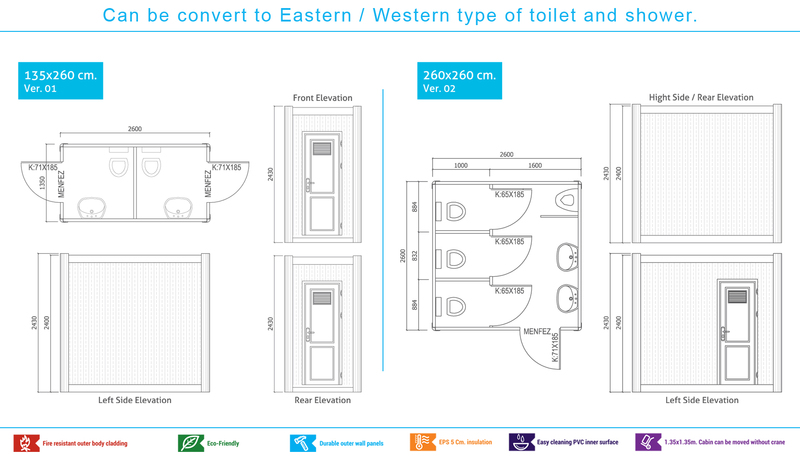 Available with European and Asian WC, exhaust fan, mirrors and toilet paper holder as standard. 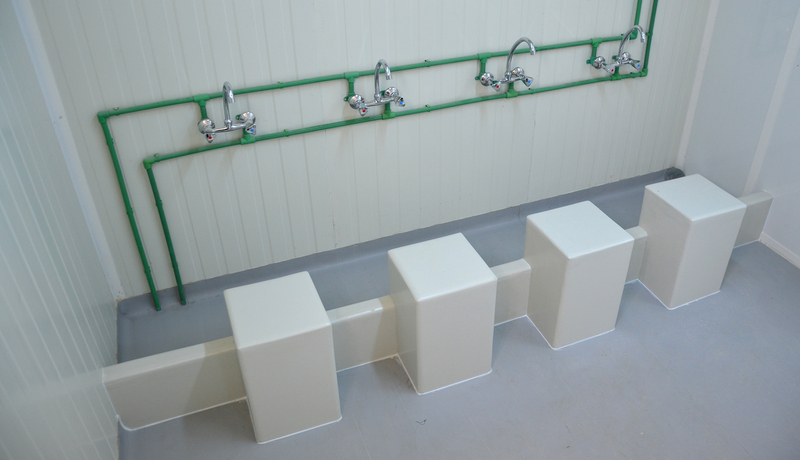 We use a GRP or polymer laminated waterproof flooring made from fiberglass up to a 1 meter height in showers and 30cm in all other areas. 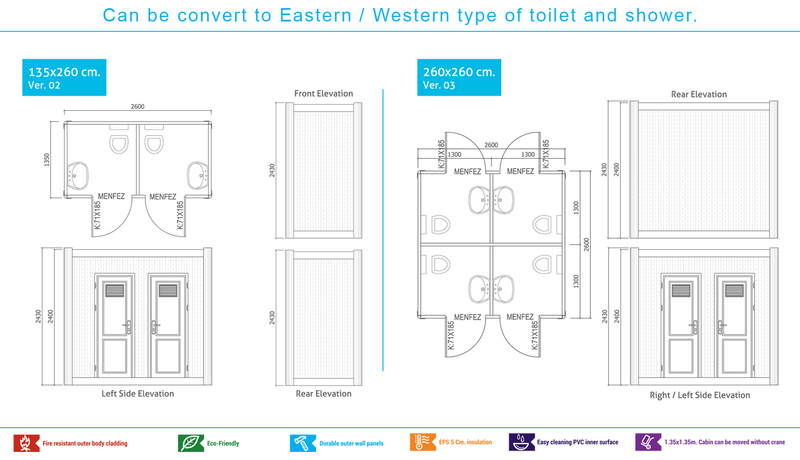 Water heaters with hot water as well as cold water supply with mixers. 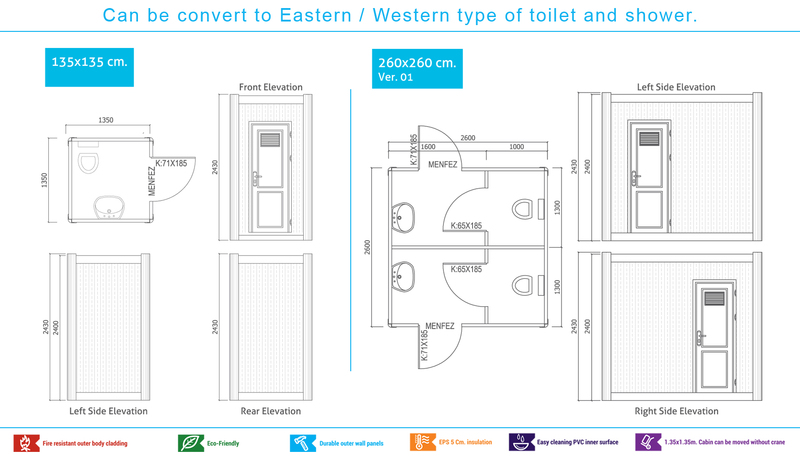 Units for disability access also available.